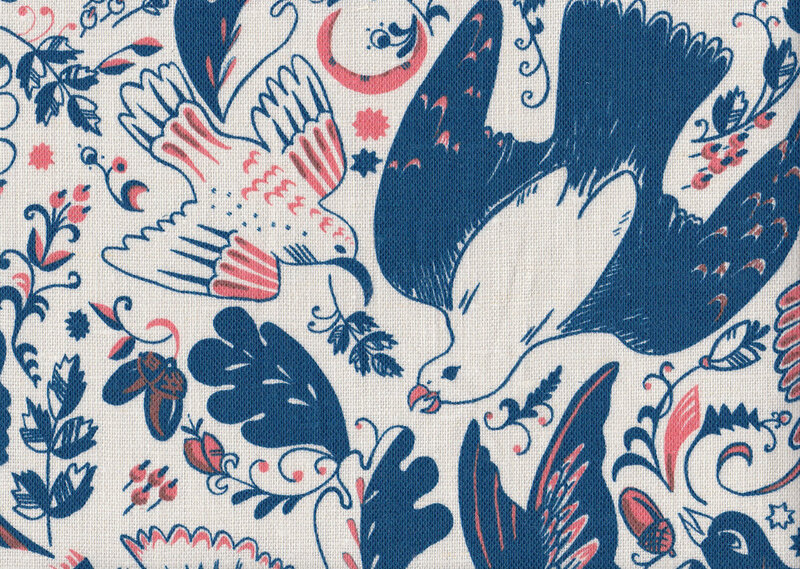 Folk Flight was born out of a deep love for classic Russian folk motifs. 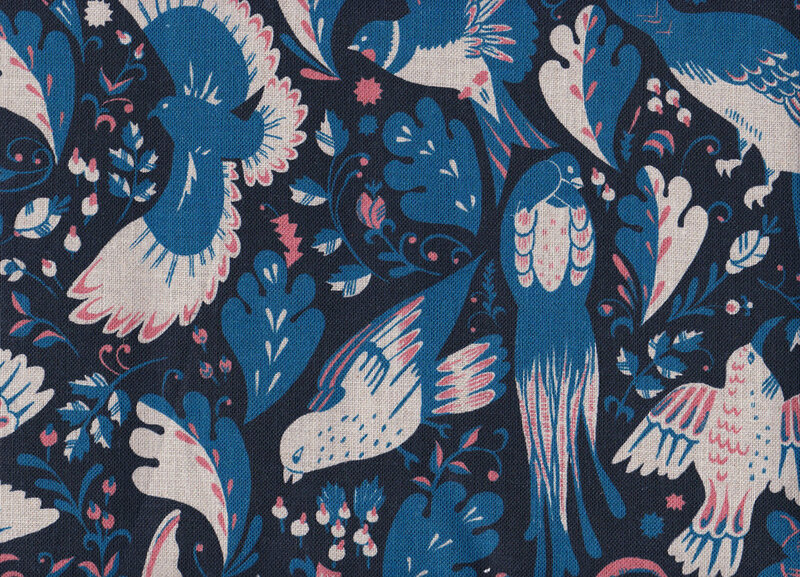 The stylized profile view is common in Russian folklore decoration, and we utilized it here to give the birds extra whimsy. 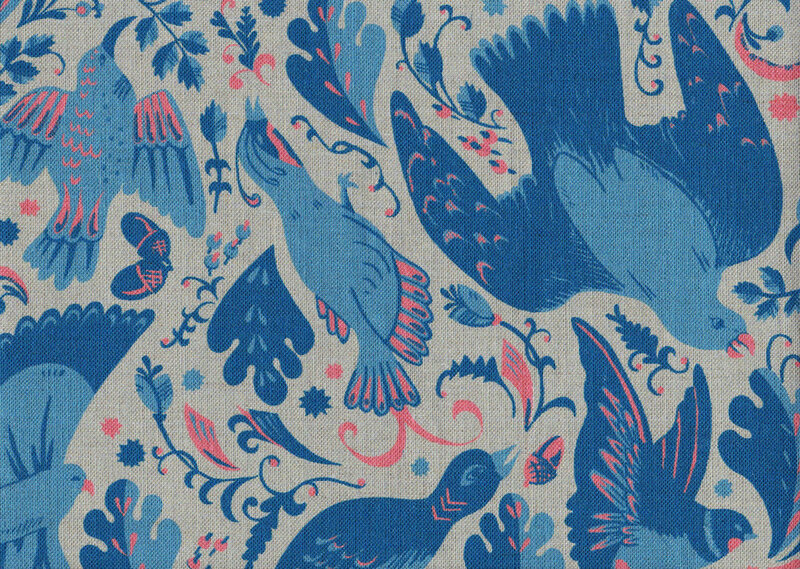 Folk flight is printed on natural linen, heavy oyster linen, and heavy natural linen. It has a repeat of 23”x 23”. We recommend a 13”x 13” swatch.